After you start running Facebook Leads Ads through using Facebook Lead Forms at Facebook, you need to export and import the collected leads through .CSV file inside your EasySendy Drip (or EasySendy Pro) email list. You can make this happen automatically after you integrate Facebook Lead Ads with EasySendy Drip (or EasySendy Pro). This integration works through Zapier Premium Facebook Lead Ads. 1. Register and Login with EasySendy Drip (or EasySendy Pro) account. 2. 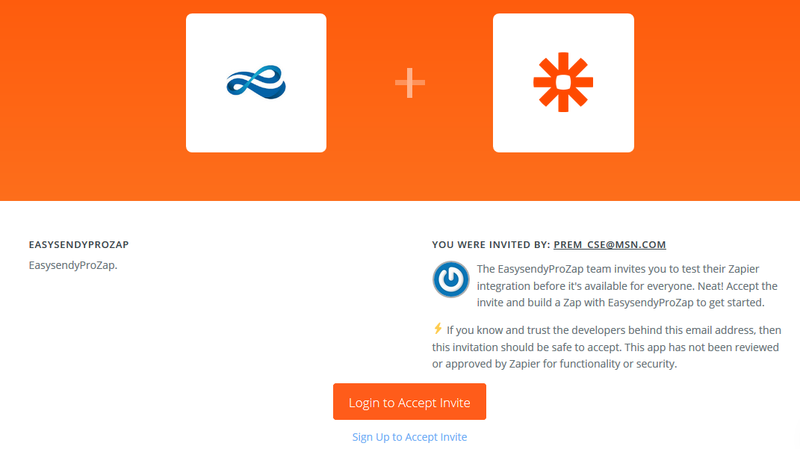 Register with Zapier and accept the EasySendy Drip (or EasySendy Pro) Zapier invite. 3. Now after you are inside Zapier, click on “Make Zap” and after that, select the Facebook Lead Ads integration. 4. After above step scroll down to “App Details For Current Selections” section. Then under Triggers, select New Lead and click on Connect Account. 5. Login to your Facebook account and complete the integration. 6. After above step by completing the triggers, you need to start with action, where you will have to integrate your Easy Sendy pro account. Inorder to complete this, you need to follow this guide from Step 4.